The face of the threat landscape is becoming increasingly sophisticated and highly targeted. 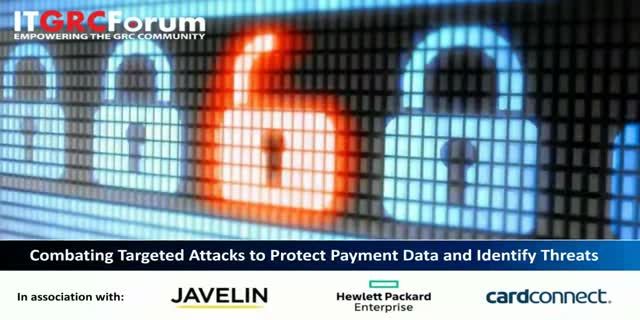 Advanced threats are succeeding in their effort to gain access to payment data of target organizations. CISOs, CXOs, and other executives need to become knowledgeable about the potential impacts of targeted attacks and advanced persistent threats. They need to become actively engaged in developing and implementing effective protective strategies. During this webinar we will discuss recommendations and best practices to help organizations develop a sustainable security program designed to respond quickly to targeted attacks and minimize the consequences of any data breaches.